Last night was kind of a big deal for Brody (and my niece Kelli). 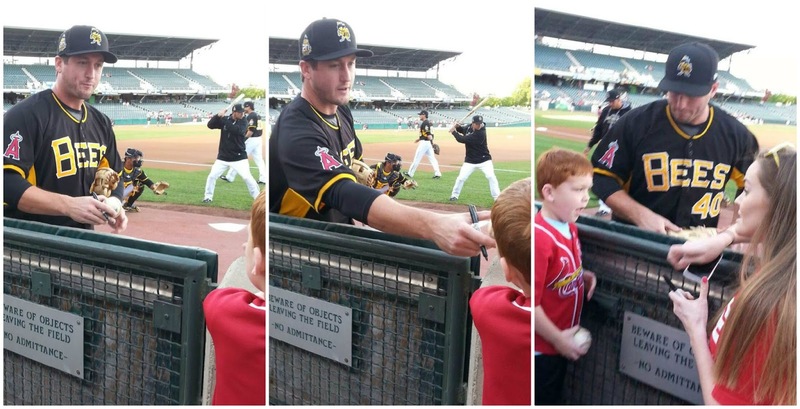 They got to meet David Freese! If you are a Cardinals fan you already know who David Freese is. Simply put, he was the 2011 World Series MVP. Read more about him here. 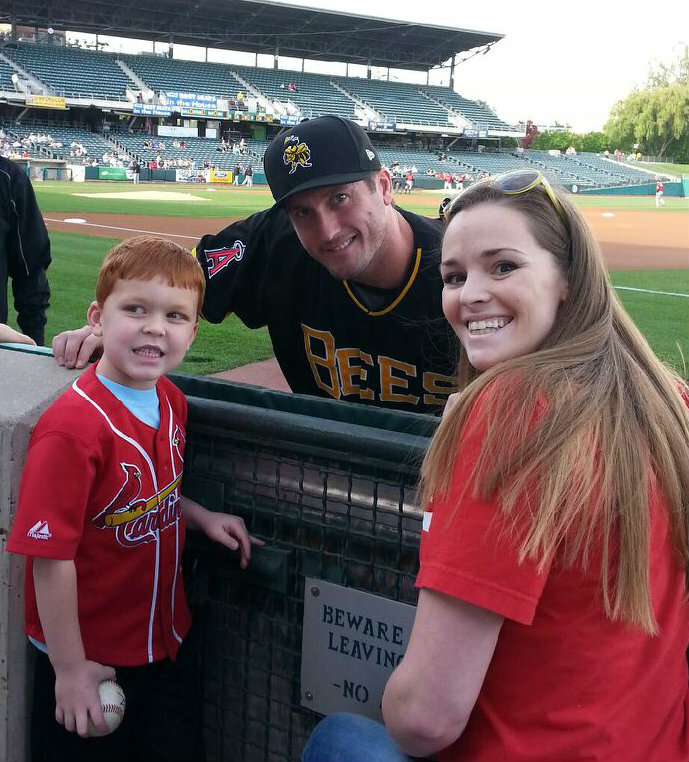 Freese was traded to the Angels this year and was rehabbing an injury in Salt Lake with the Salt Lake Bees (the Angels Triple A team) which means we got to see him play! Before the games Kelli, Brody and my sister Julie headed down close to the field to watch him warm up. That's when they got to meet him. He took pictures with them and signed Brody's ball. What a nice guy! Later in the game Brody was yelling his name while he was on the field and he even turned and gave a little wave with his glove. What baseball player would you love to meet? I died and went to heaven I think. Over the past year or two I have been pretending I don't love him as much as I did but last night I let my true colors shine!!! He is amazing!!!! And you were so nervous you didn't even think about asking him to sign your "Freese for President" shirt! That is awesome for them! !